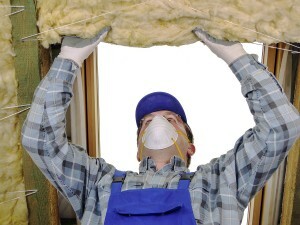 31-W Insulation is one of the best companies you can choose for insulation services in Dayton, OH. Not only do we have more than 40 years of experience in the industry, but we also have an excellent reputation, including an A+ rating with the Better Business Bureau. When you’re looking for insulation companies that truly deliver, you can count on the experts at 31-W.
Energy efficiency – Insulation works by preventing heat transfer into and out of the house. This means your HVAC system won’t have to work as hard to keep your home cool in the summer and warm in the winter, which can lead to savings in your energy bills. Consistent heating and cooling – Insulation helps maintain even temperatures throughout the entire house, reduce draftiness, and keep your home at a comfortable temperature. Noise control – Insulation also helps to reduce the level of outdoor noise that can intrude on the peaceful environment of your home. To start enjoying these benefits, you can turn to the professionals at 31-W Insulation. As one of the top insulation companies, 31-W provides highly trained specialists to install insulation products from some of the most trusted names in the industry, such as CertainTeed and Owens Corning®. If you’re looking for insulation companies that can provide top-notch products and installation services in Dayton, Ohio, turn to 31-W Insulation. Contact us today for more information or to schedule your complimentary estimate.